Dr. Bruce E. Johnson, M.D. Bruce E. Johnson, MD is the Chief Clinical Research Officer at Dana-Farber Cancer Institute, Institute Physician at Dana-Farber Cancer Institute and Brigham and Women’s Hospital, and Professor of Medicine at Harvard Medical School. His laboratory-based research is devoted to testing novel therapeutic agents for their efficacy against lung cancer and other thoracic malignancies. 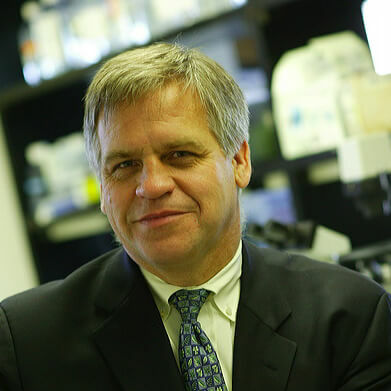 Dr. Johnson received his Doctor of Medicine from the University of Minnesota, did postgraduate training at the University of Chicago and the National Cancer Institute, and came to the Lowe Center in 1998 after serving for six years as the head of the Lung Cancer Biology section of the National Cancer Institute’s Medicine Branch.